Reuters has been unable to gain access to centres for more than a year. 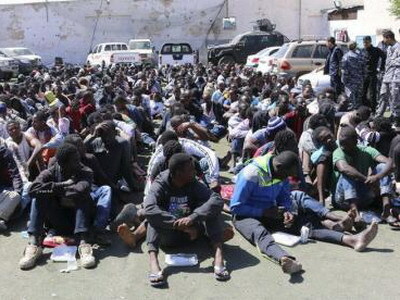 Media visits became rarer after CNN reported in November 2017 that migrants were being traded in slave auctions in Libya. The outrage sparked by the CNN story gave impetus to a “voluntary returns” programme run by the International Organization for Migration (IOM) that flew nearly 16,500 migrants back to their home countries last year. Critics say the returns are not truly voluntary, given the only alternative is to stay in Libya. UNHCR, the U.N. refugee agency, has begun to process more asylum requests and resettle refugees, either directly from Libya or through Niger, but the programme has been hampered by a lack of resettlement offers.